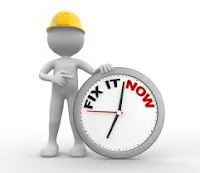 Are you fixing it or you are complaining? Philippians 2:14 Do all things without complaining and disputing, 15 that you may become blameless and harmless, children of God without fault in the midst of a crooked and perverse generation, among whom you shine as lights in the world. There are many ways we can help this world; I believe it starts with us seeing ourselves as problem solvers. Are you seeing yourself as light to the darkness, arrogance, hopelessness etc. We live in a world where everyone is pointing a finger at the other. They say you should have done this or you should have been doing this. Often the complainants have no solution to the underlying problems. Instead of being problem propagators, why not think? As problem solvers.